Kathi has 16 years of experience in the dental industry and has a strong patient service record. She is excited about being part of the Babin Dental team and enjoys helping people and interacting with patients. In her spare time, Kathi enjoys spending time with her family and friends. Heather brings over twelve years of experience in the dental field to our practice. She is exceptionally knowledgeable in the insurance industry and works efficiently to make sure patient’s insurance needs are met. Heather loves getting to know all of our patients at Babin Dental. While not in the office, she enjoys spending time with her family. She has two daughters, Lakelyn and Emery. She shares a passion for photography and traveling the world with her husband, Hunter. Rebecca, a native of Baton Rouge, completed her undergraduate studies at LSU. She recently graduated from the LSU School of Dentistry Hygiene program, where she received her Bachelors of Science degree in 2017. She is certified in local anesthesia and nitrous oxide. She is passionate about preventative dentistry and loves educating her patients about oral hygiene. Rebecca also enjoys spending time with her family and friends. Kalli is a graduate of LSU. She received her Bachelor’s degree in Biological Sciences in 2008. She is also a graduate of the LSU School of Dentistry’s dental hygiene program and received her Bachelor of Science degree in 2011. While attending LSU’s dental hygiene program, she received official certification of local anesthesia and nitrous oxide administration. Kalli believes oral hygiene is very important and enjoys educating each patient in order to improve overall oral health. In her spare time, Kalli loves spending time with her husband and two children. She also enjoys watching and cheering for the LSU Tigers. Maggie is a pre-dental student at LSU and will graduate in May 2018. She is working as a dental assistant to gain experience in the field before applying to dental school. Maggie is always eager to learn more about dentistry and its advancements. In her free time, Maggie enjoys spending time with friends and family. She also enjoys cooking, crafting, and traveling. Sommer, new to the Baton Rouge area, is excited about being a part of our dental team. Originally from Grayson, LA she has 10 years of experience as a dental assistant. In her free time she enjoys spending time with her family & friends, hunting and working out. Our talented team members bring years of combined dental experience to our ultra-modern office. 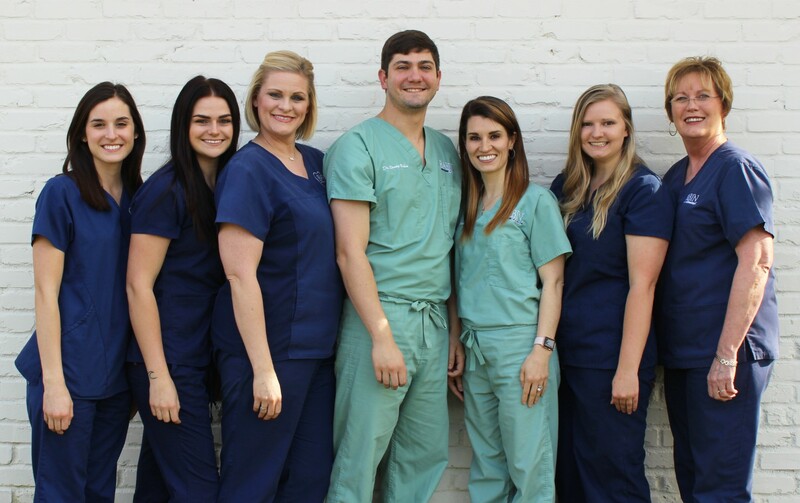 Schedule a visit today at (225) 590-3835 to experience our team first hand.